CJ Hancock is a lucky man this morning. 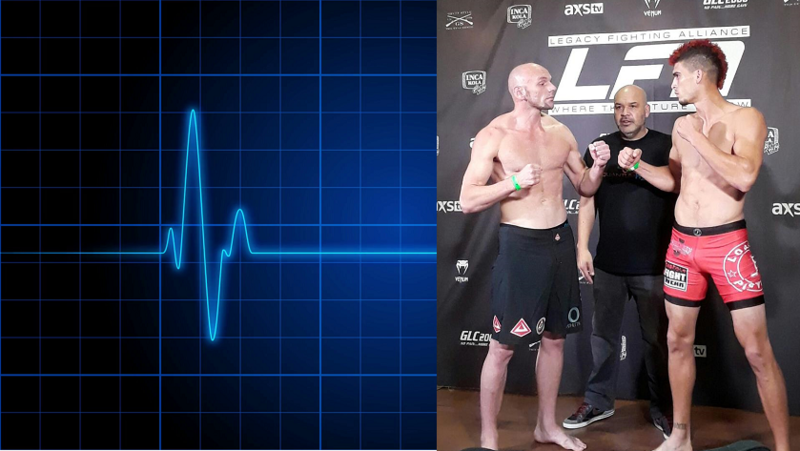 Last night the welterweight fighter was competing at Legacy Fighting Alliance 26 in Houston, Texas when he went into cardiac arrest. Cageside physicians were able to bring the 32-year old back to life and rush him to a nearby hospital. Clovis Hancock was fighting Charlie Ontiveros when he collapsed. The fight was officially rule at TKO loss in the second round, but luckily he will live to fight another day. According to War Room MMA coach Steven Wright, who was cageside, the welterweight went through a grueling weight cut prior to the bout, and collapsed without the provocation of a blow from his opponent. With the loss, Hancock moves to 2-3 as a professional mixed martial artist.